Blackhawks defenseman Brian Campbell is retiring after 17 seasons in the league, including winning a Stanley Cup with Chicago in 2010. Big Question: What's the effect of the compressed schedule? For this week's query, we asked players to tell us how having more games in fewer days has affected them. Are they feeling more tired, less prepared and more injured? And did the week off help? 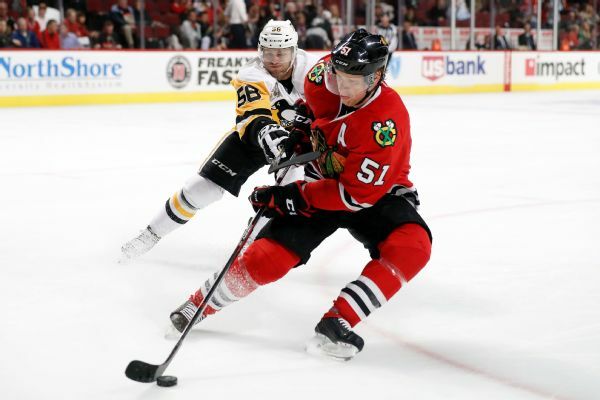 Blackhawks D Brian Campbell talks about his return to Chicago, building a comradery with his younger teammates, the maturation process of the veterans and more. 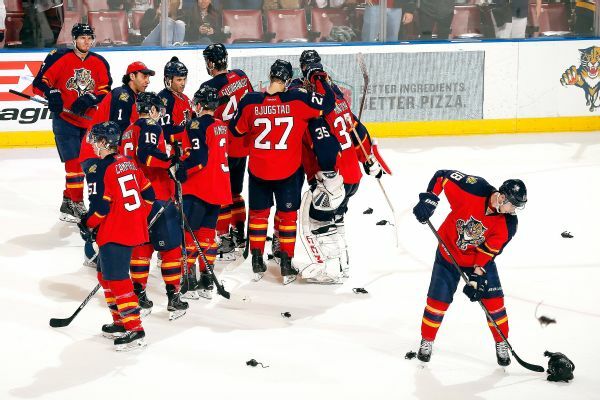 Was last year's first-round playoff exit a sign the Blackhawks are mortal? Hardly. 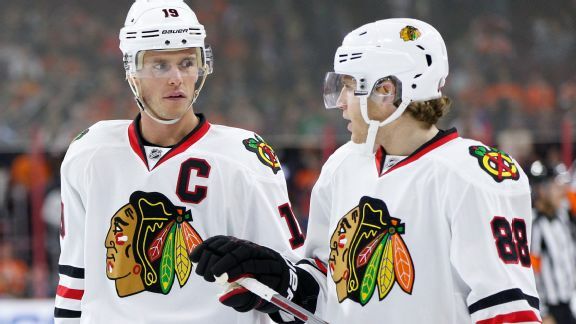 Chicago is deeper than ever on defense and still has the 1-2 punch of Patrick Kane and Jonathan Toews up front. 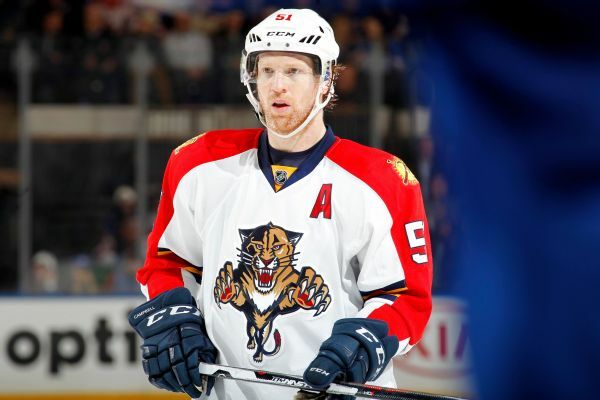 Brian Campbell wanted to return to Chicago and the Blackhawks were more than willing to welcome him back. Milan Lucic will plug a big hole in Edmonton, Kyle Okposo could be a playoff key for Buffalo, and Chicago's reunion with Brian Campbell might pay off. But the Rangers are losing relevance. 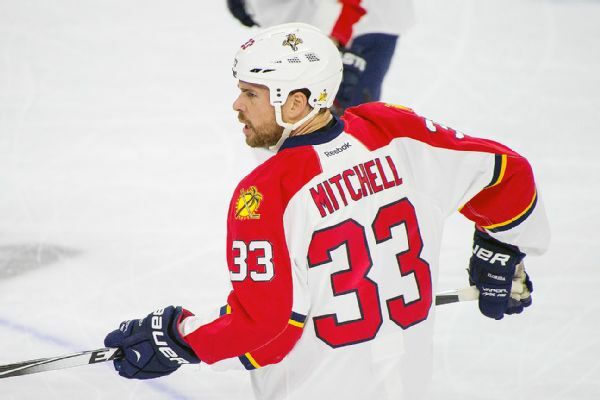 Willie Mitchell hoisted the Stanley Cup twice, played parts of 15 NHL seasons, even found a way back on the ice after a knee injury kept him out for more than a year. Jaromir Jagr hasn't been clean-shaven in a while. 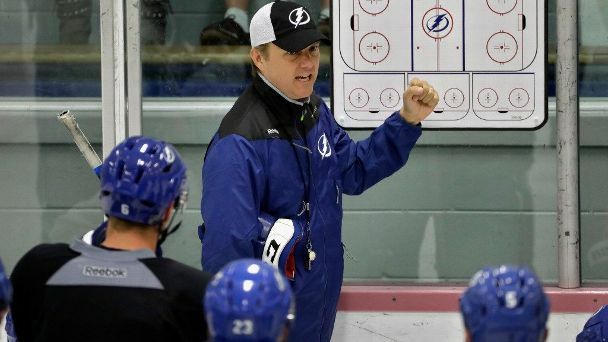 It's likely no coincidence that the same can be said of Jonathan Huberdeau, his Florida Panthers' linemate.